Have Sunderland missed out on Sakho? West Brom have agreed a fee for Sunderland summer transfer target Diafra Sakho. Ex-Sunderland boss Sam Allardyce had lined up a raid on former club West Ham to bring in striker Sakho and lend a helping hand to reigning Black Cats Player of the Year Jermain Defoe. West Ham's search for a new frontman had put a deal on hold, yet Sunderland were still firm favourites to land the 26-year-old. However, Crystal Palace, Watford and West Brom were also interested in Sakho and it is the Baggies who are now closing in on his signature after agreeing a fee with the Hammers. That is not such a blow to Sunderland as it would have been a fortnight ago though. Sakho was very much an Allardyce target, rather than one for successor David Moyes, with the new Sunderland boss assessing transfer targets with fresh eyes, albeit the club are still in talks for former loanee Yann M'Vila. 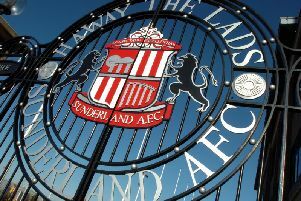 But Sunderland are desperately in need of fresh firepower, with Defoe recovering from a thigh injury.